HANK: It's that time again! Don't you long to buy some pencils? And perfect, clean notebooks? Dividers and folders and things with tabs and maybe a protractor or two? New school supplies was always such a treat for me. A new notebook, with the three-hole-punched paper all put in and ready to go, always felt like there were endless possibilities for wonderful things to come. And new school clothes! Wonderful. I went to grade school in fairly rural Indiana. We took a big yellow school bus, and had to wait for it at the end of our driveway. I remember one year, back to school was after Labor Day, not like now. And though it was September, it could stll be really hot. Nevertheless, I had a new beautiful red sweater and a new beautiful black and white houndstooth skirt. And I insisted on wearing it. No, Mom said. It's too hot. NO, I said, it isn't! So I decided to sneak wearing it, not come out of the bathroom til the very last moment so there wouldn't be time to change. I was so clever at age 12 or so. SO I put my plan into action. The first bad news, I brushed my teeth with the sweater on, and got toothpaste on the front. Grr. I dabbed it off, leaving a washcloth-y damp spot onthe red. It'll dry, it'll dry, I told myself. Then Mom yelled--the bus is here! It's EARLY! RUN! So I leaped out the door, hightailing it down our gravel driveway. And, I splatted. Big time. The bus pulled away. Mom (VERY UNHAPPY) had to drive me and my bloody knees to school in the car. Late on day one. My skirt was shredded, so I had to change clothes. Sigh. Where did you go to grade school? Any memorable first days? RHYS: Not the greatest memories of my early school years. I went to five schools by the age of ten, because my parents couldn't make up their minds which was best for me. I was a sickly kid (little wonder with two parents who smoked and coal fires that I had bronchitis all the time. Duh!) so they sent me to outdoorsy schools they'd heard about. But it's hard always being new. I went to boarding school, loved it, but my parents missed me. Came home. Went to outdoorsy school. The cook's daughter was allowed to attend free. We were eight she was twelve and she bossed us around. Nobody thought to say, "Hey, you're the cook's daughter. Shut up." So she made my life miserable because I was new. Then I went to local school. Big rough farm kids used to challenge me to all kinds of physical activities. I lost, of course. They laughed. And the worst first day of all. The teacher lost her cool and said nobody may leave their seat for any reason. I needed to pee, badly, but I was a good little girl and sat there until I wet my pants. Everyone laughed. So you see all the angst that has to come out in my writing! 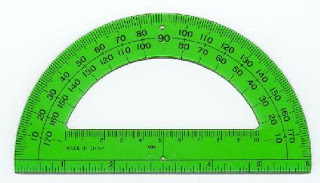 JAN: Ah, Hank the days of protractors are no more. My most recent back-to -school shopping memories are of having to spring for a $200 plus calculator, yet again, because one of my kids lost it the year before. My daughter feels the way you do about school supplies though, Hank, and she gets excited every September buying those fresh notebooks and starting with that new slate. ROBERTA: I loved school, once I got the hang of it. My parents told me I had to be able to print my name before I started, so I learned BOBBIE because no one ever thought I'd manage Roberta. So that I stayed until after college. HANK: I was thinking--that's odd. Roberta is only one letter longer. Then I realized, oh. Different letters. So cute to think of our Roberta learning letters! ROBERTA: I also remember going up to the first grade teacher to ask how you spelled "alot." It took 3 tries before I understood it was two words. Now why would that memory stick with me so long? The underlying humiliation is all I can guess. But Rhys, you sure had it worse! My family did move when I was starting 6th grade--that was traumatic, so I can't imagine all the moves you made! I had a brand new pair of saddle shoes, which were totally out of style in Michigan. The kids called me "the cow". ROSEMARY: School supplies - still love them. They're so full of possibilities. In first grade I went to Sacred Heart in Brooklyn for two months and then we moved and I was unable to start another parochial school midstream. Thank goodness. They were the worst two months of my academic life. I remember them vividly. I hated the nuns, got smacked on my hands with a ruler for snitching that the kid next to me stole my cookies (!) and was generally miserable. Plus, those uniforms - pleats that start at your waist? HANK: Who designed those things? The same poeple who thought up the red gyms jumpsuits with the snaps. Auggh. ROSEMARY: After we moved, I went to PS 119 where my first grade teacher was the lovely Mrs. Martha Jaffee. She couldn't possibly have smoked in our classroom but she was very slim, frequently stood with her hand on her hip and the only thing missing was a cigarette or a cocktail shaker. She looked thoroughly louche and I imagined her going home to her husband and saying things like "I'd love to kiss you but I just washed my hair." Even at a young age I had quite an imagination. I loved public school. HALLIE: This is fascinating. Bobbie?! Who knew? And Hank in elementary school (and stll!) in a black-white-red ensemble. Ro at parochial school? Now there's an image. Rhys, breaking my heart. And Jan, the last one I'd ever thought would have been a goody-goody teachers' pet. Yes, I confess to a deep passion for school supplies (it's why I love going to Staples). I adored that first day, writing labels on the notebook dividers and putting paper between them in my three-ring binder. Day one, super organized. By day two, couldn't find a thing. What I remember is meeting Leland Moss on the first day at El Rodeo elementary school and going home with him to play boss (him) and secretary (me). What can I tell you? How things have changed! Later we put on plays in his backyard that he wrote and directed (with help from his mother Thelma (Schnee) Moss, a screenwriter). Lee went on to be a huge talent as a writer, director, and actor, and died young of AIDS, one of a lost generation of theater talent. HANK: Boss and secretary???? That is incredibly--well, we grew up in Mad Men days, right? Roberta and Rhys...wow. So, Reds, where did you go to grade school? Did you love it? Any first day stories? Lessee...pre-school at 3 (my mother was pregnant with my sister), then started kindergarten in New Jersey. We moved. Four years at a Quaker school in Pennsylvania, plus one at a different one in Philadelphia. We moved. Three years at a private school in NJ. We moved. Five years in a decent public school system in a different town in NJ. Most memorable first day? It's all a blur. How about when I refused to take a nap in kindergarten? All the other good little girls were stretched on on the floor, but I didn't wanna. Life was too interesting to sleep through. Yes, white shoe polish on gym shoes. We did, too. What a ridiulous idea! Sheila, nap time! WOuldn't it be fun if we had it now? I have so many memories of so many schools, they're like little snapshots in my mind. We moved 5 times when I was in Kindergarten, and in one class the others were actually doing addition & subtraction. I peeked over a kid's shoulder and wondered what all those little crosses and dashes were all about. I remember a winter on the Gaspé peninsula, walking to St. Patricks in one of those awful jumpers. We weren't allowed to wear slacks so my thighs froze! I don't remember a whole lot about my kindergarten days. I went to Melrose Ave. Elementary (long before "Melrose Place" -- the neighborhood was far from chic. All I recall was there were these huge blocks--almost small wooden cartons with holes so you could grasp them, and we were not allowed to build anything higher than our shoulders. Sanda--slacks! No way..we're weren't allowed to wear them, either. How strange that seems now! What year did that change? Roberta, I think it's going to be really, really hard for me to resist using this name -- I LOVE IT!! Sheila, I have a secret yearning to become a Quaker (I even went to a meeting in Wellesley) and wonder how a Quaker elementary school differs, if at all, from a public school? Ro and Cttiger. I narrowly escaped going to the same parochial school my brother's all went to. I'm always envious of their cash of terrific/horrific Catholic School stories. Oooh, I know, I know! (Hand waving.) Melrose Ave. is in Los Angeles! Great street, very funky/LA back then, now the area is upscale boutiques. We had to wear uniforms until I left school at 18. Actually I didn't mind too much as we never had to decide what to wear. But we tried all the angles--white knee socks instead of beige, and asked to wear underslips under our tunics as our legs became raw with the cold. Principal beat us at our own game and said we could wear--flannel petticoats if we wished. of course nobody wanted to be seen dead wearing flannel anything! Love this topic. Back to school tastes like pears and library paste, smells like a peanut butter-and-lettuce sandwich made the night before and slightly warm milk in a carton, and feels like new fabric and new shoes. And skirts, of course. At my high school girls couldn't wear pants to school until the year after I graduated. It being fall, we wore wool. It being LA, we wore short-sleeved wool sweaters, wool mini-skirts, and knee socks, and sweated in those. I became a Quaker as an adult and highly recommend it. From what I know of Friends schools, they include some silent worship once a week and lots of talk about cooperation and walking lightly on this earth. I, too, have a strange addiction to paper and other things writing related. Pens, pencils, erasers, notebooks, journals - are my weakness. When school supplies show up in local stores I feel like an addict about to lose control. I found a solution this year. I gave myself a budget, spent a lovely hour indulging the passion, then donated it all to a local program that provides school supplies to kids in need. Ilonka, you are brilliant! What a win-win idea. Edith, I bet you all looked very hip...(Although we would have said, what, "sharp"? at the time?) Did you have, what were they called? Those cardigans with grosgrain ribbon on the front? By the time the Seventies rolled around, it seemed girls were allowed to wear pants. My kids went to a Catholic High School with uniforms, and the girls had a choice of kilt or grey pants. White shoe polish - holy cow...was there a nurse on the package? My sneakers were never white enough, I cheated and used chalk. And Sandra, plus ca change..now, gray pants or a kilt would be totally chic! Tomorrow...STRANGER THAN FICTION! Don't miss it--story ideas galore! What fun to read all the school stories. I remember well those days of yellow pencils and blue tablets and the gym shoes that had to be polished. Never thought of using chalk. I remember on weekends we would soak the shoes in water with bleach and then put them out in the sun. They would whiten up pretty well that way. Ah, Maryann!Strange, huh? All across the country ,they made us care about making our shoes white. Sigh. see you all tomorrow for TRUE CRIME TUESDAY! I went to three first grades. The first in Camp Hale, Colorado where the famous Mountain Troops trained during WWII. One room school. Next first grade in Hesston, Kansas. Two room school. Some mean girls told me I had committed some foul deed and had to go to the principal's office for a spanking. I went home to my grandma's house instead, but wouldn't tell her why. Third first grade: Fort Morgan, Colorado. A real school. A little boy named Billy refused to sit next to me because "Judy is too skinny." Jeez, the good old days. That school had a fantastic May Day celebration and we actually danced around the May Pole. I got measles (kinds), mumps, and scarlet fever, and we had a big quarantine sign on the door which I kept for years. Wish I still had it. Oh wow. Someone else who went to a one-room school house. Mine was in NY State, my twin and I were the only two in kindergarten. Two cousins were the only two in first grade and 7th and 8th only had one student each. Can't remember the in between classes. We moved to NJ for half of first gardea and then to another NJ town second half of second grade. I also loved shopping for school supplies but my really favoritething, and still is, that new box of crayons. One year the girls in the family got into a discussion on 'new boxes of crayons,' so I went out an bought all the girls, daughter and daughters-in-laws crayone for Christmas--the 96 size. You'd thought I gave them the world. Oh and Princess coloring books. My gym suit was blue and baggy but I was great at polishing, then buffing by white tennis type sneakers. Crayons! Love them. I have a new box right here..with NEW Crayola colors..."Tumbleweed' and "Happily Ever After." What color do you think that is? Pat! You're TWIN? SO cool. Too skinny, huh? Sigh. as if.